If you’re looking for a fantastic multi-family in the West End, look no further. This two-family home has many updates and has been well cared for by its owner, making it the perfect purchase for an owner occupant or investor buyer. The smaller of the two units encompasses the first floor. It boasts an enclosed porch, formal living room and dining room, fully applianced kitchen, two bedrooms, and a full bathroom. It has hardwood flooring, access to laundry in the basement, and its own gas furnace and hot water heater. The larger unit is located on the second and third floors and is completely remodeled with many high end finishes. The main living level has a formal living room which leads to an enclosed sun porch. There is a formal dining room adjacent to a remodeled kitchen. The kitchen offers stainless steel appliances, tile flooring, plenty of cabinet space for storage and counter workspace area, and a small breakfast bar. There are also two bedrooms and a renovated full bathroom on the second floor. Upstairs, the third floor is the master suite level. Fully renovated, it includes a dedicated office area with built-ins, large master bedroom with gas fireplace and built-ins, walk in closet, spa bathroom, and laundry area. The second unit has central air conditioning, along with a newer gas furnace and hot water heater. Outside, there is a 2-car detached garage, fenced backyard and paver patio area. A rare find in the West End! 14 Rodney Street is offered at $310,000. 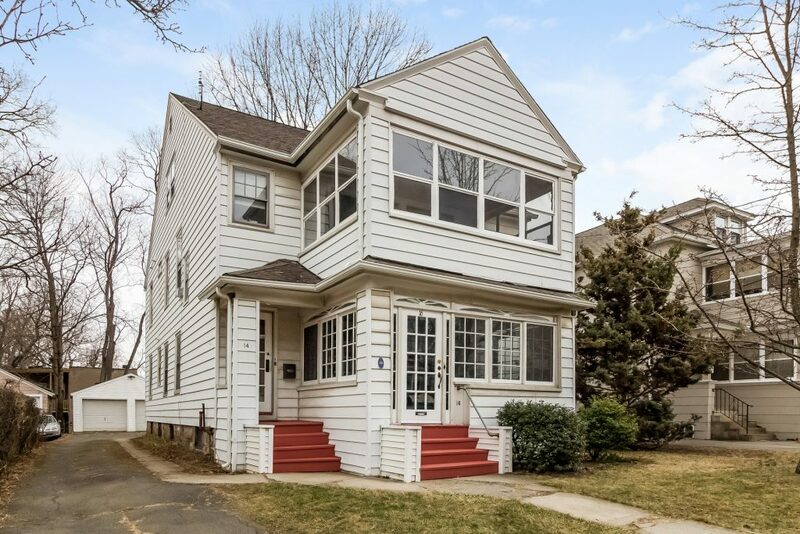 If you’d like to see this home, please have your agent arrange a showing or call Amy at 860-655-2125 to schedule a visit. More details and a photo tour are available.